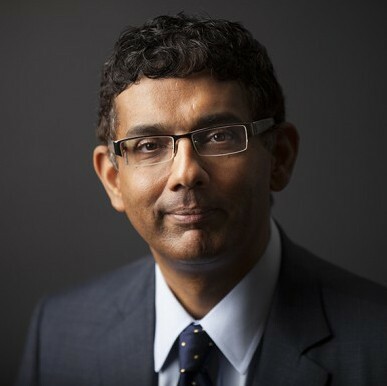 Members of the public will be allowed to attend conservative author and filmmaker Dinesh D'Souza's talk at Gonzaga University, the school announced Friday. The school previously decided the event was only open to students, faculty and staff. Ben Dubois, a student and member of Gonzaga College Republicans, helped recruit D'Souza but says the school told him the talk on Feb. 24 was closed to the community because his views are "homophobic and anti-immigrant." Dubois didn't understand the decision because he says other speaking events have been open, and he was concerned about the level of attendance without community involvement. He and the College Republicans filed an appeal to Gonzaga President Thayne M. McCulloh on Wednesday, Feb. 10, asking him to review the decision. McCulloh issued a statement Friday stating that the event will, in fact, be open to the community. "A fundamental principle that sits at the heart of Gonzaga's educational mission is the commitment to freedom of expression," McCulloh writes. "While this commitment is, for us, understood to operate in the context of and with respect for our Catholic, Jesuit, and humanistic mission, it is a critical component of the academic project — a project which seeks to educate our students to be critical, enlightened, and well-informed individuals." Dubois says he wished the talk would have been open to the public in the first place, but he was happy with the president's decision. "I think it's great," Dubois says. "I hope we're going to fill up the room." D'Souza charges a $10,000 speaking fee. Most of that cost, $8,000, was covered by a donation from Young America's Foundation, a conservative youth organization. The rest came from the student body association on campus. D'Souza legally immigrated to the U.S. from India and was a policy analyst for President Ronald Reagan. He's written several books, including What's So Great about America, What's So Great about Christianity and The Roots of Obama's Rage. As a filmmaker, his first documentary was called 2016: Obama's America, and he's since released others including America: Imagine a World Without Her. D'Souza was arrested in 2014 on charges of finance fraud, a felony, and sentenced to eight months in a nightly community confinement center. The Spokane County Republican Party announced earlier this week that D'Souza would be the keynote speaker at its Lincoln Day Dinner & Fundraiser on April 30 at the Davenport Grand Hotel. In making the announcement, Spokane GOP touted its support of free speech while questioning the school for keeping D'Souza's message away from the community. President McCulloh says the primary issue leading to the decision not to open the event to the public was a concern over the "potential hurtfulness of Mr. D'Souza's words/views, and that this might serve to create a hostile learning environment." He adds that a "significant number of invited speaker events" at Gonzaga are open to the public, and that the school takes pride in engaging its own students, faculty and staff as well as the broader community. The event starts at 7 p.m. Feb. 24. After D'Souza speaks, there will be a question and answer period followed by a book signing. There will be two ticket distribution periods, McCulloh says. Students, faculty and staff will have first priority for tickets, then Gonzaga community members and the general public.